We’re a boutique practice with a focus on personally treating our patients in a professional and friendly way. We’ll spend the time with you before, during and after your procedure to make sure you’re comfortable with all aspects of your treatment. 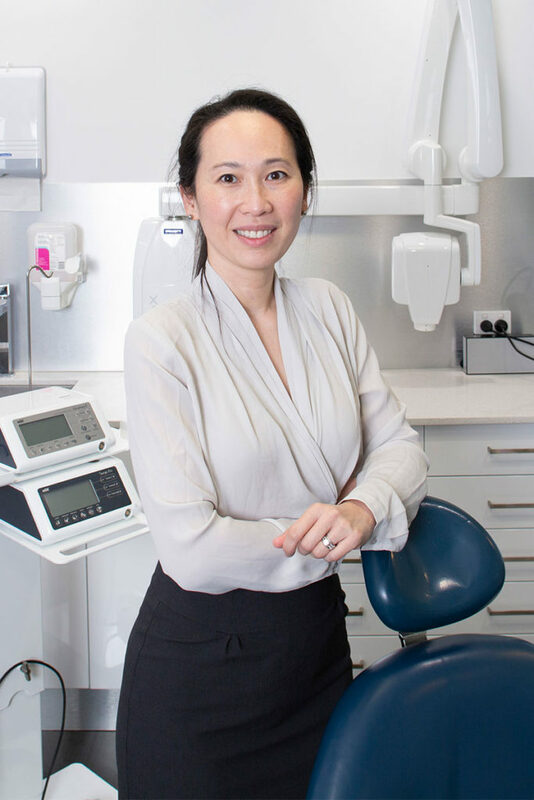 Dr Patty Chou is a highly experienced Specialist Periodontist with a special interest in dental implants and also advanced gum disease management. Dr David Willis is a Medical Doctor and Dental Surgeon who has limited his practice to dental surgery. His particular interest is the surgical removal of impacted wisdom teeth. Both Patty and David are skilled in dental implant procedures and usually work together for implant cases. Toothsome only offer premium dental implants that demonstrate ongoing evidence to support their effectiveness (e.g., Straumann Roxolid SLActive), so you’ll get the best long-term replacement for your teeth. We’re a practice that has limited our services to wisdom teeth removal, dental implants and specialist periodontal treatments. We frequently perform these, which creates efficiencies that mean we can make our fees competitive. That’s why patients travel interstate and across Sydney to be treated by us. Many new patients come because their friends recommended us. Dr Chou and Dr Willis consult and perform minor procedures at our practices in Chatswood and Baulkham Hills. Dr Willis also consults in Sydney’s CBD. Where procedures require it, we have the advanced qualifications to perform procedures on patients under general anaesthetic in hospital/day surgery in Chatswood or Sydney’s CBD. Patient safety is our priority, which is why our general anaesthetic procedures are always performed in accredited hospitals with qualified Specialist Anaesthetists and medical staff. Dr Patty Chou is a highly experienced Specialist Periodontist. She received her Doctor of Clinical Dentistry in Periodontology in 2009 and was admitted as a Fellow of the Royal Australasian College of Dental Surgeons in the specialist stream of Periodontics. She helps her patients to feel at ease with her gentle, friendly and approachable manner. Dr Chou is a caring professional who sees patients of all ages. She’s an expert at periodontal treatments and dental implant procedures and has performed dental implant surgery since 2002. After your treatment, Dr Chou will take the time to show you what you need to do at home for the best long-term results. You’re in the safest of hands with Dr Willis. 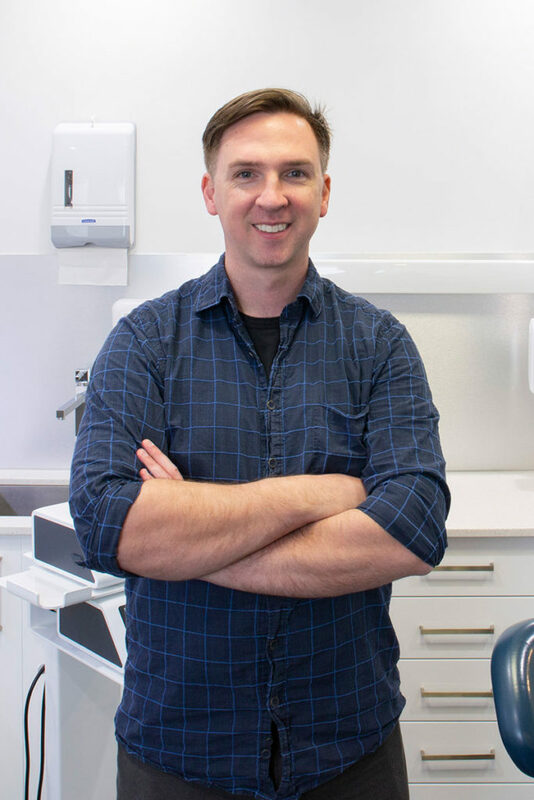 He’s qualified in medicine, dentistry and has limited his practice to dental surgery with interests in removing impacted wisdom teeth, problem teeth and dental implant procedures. He has extensive experience in wisdom tooth removal and dental implants, performing these procedures since 2004. 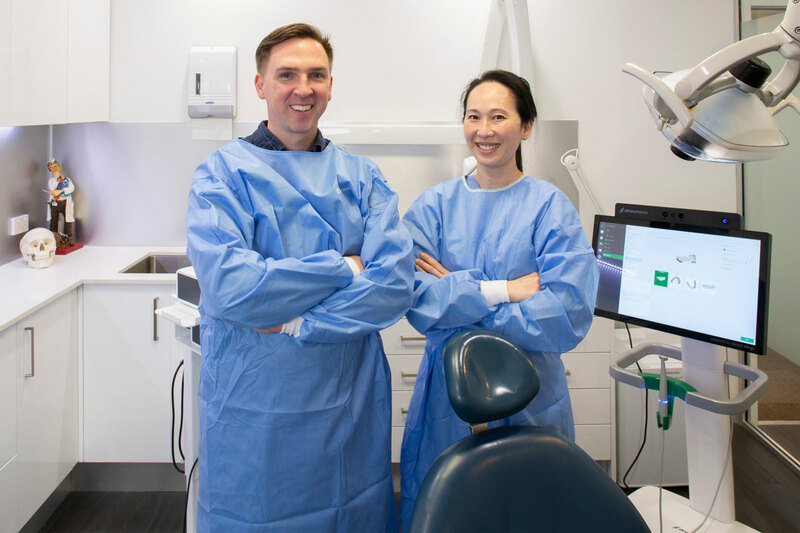 His qualifications mean he can treat patients in the dental chair or in a hospital setting under general anaesthetic — depending on their preference and the type of procedure. Dr Willis is friendly and down to earth, which is particularly appreciated by patients who are anxious about their treatments. He never leaves patients feeling he’s rushing to the next treatment. He takes time during his consultations to make sure his patients are relaxed and happy with the approach to their treatment. He’ll answer all your questions directly, and you won’t be handed to a dental nurse or receptionist for further information. He’s a popular choice by medical colleagues, students and nurses as well as high school and university students who are having trouble with their wisdom teeth. We welcome new patients whether you’ve been referred by your Dentist or would like to book with us directly. Please call us for an initial consultation with Dr Chou or Dr Willis.